This one is lovely too! I thought it was cute that you named all of your blog posts "Bunny"! this card just completes the set!! looove that string of ornaments! thank you so much for playing along with the Lawn Fawnatics Challenge! And now this wonderful card sits on my end table for me to enjoy all holiday season. 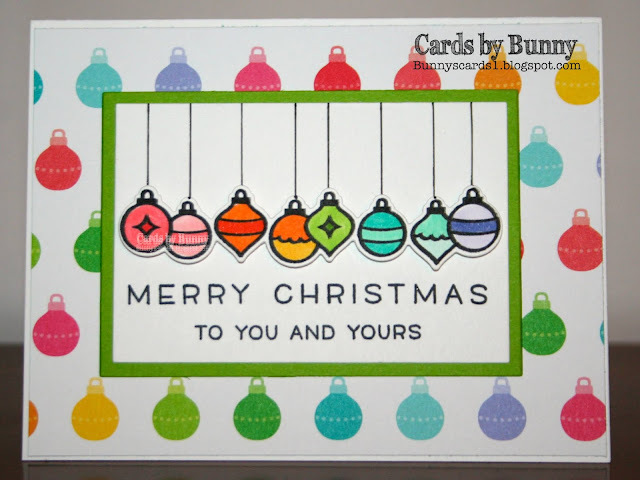 Love the ornaments and the matching designer paper background. Thank you Bunny.